However, his case is diminished – in my view – by significant weaknesses that undermine the two main charges against Evans. In following sections, I identify those weaknesses and consider whether the strong claims Turney made about Evans are justified. The popular press enthusiastically took up Turney’s case against Evans. Journalists highlighted the most sensational aspects of the claims against Evans, presumably unaware that a more balanced story could be told. Professor Turney, from the University of New South Wales in Australia, accuses Evans of deliberately ransacking food supply depots lining Scott’s route back, and contravening an order to send a relief team to meet Scott on his return. 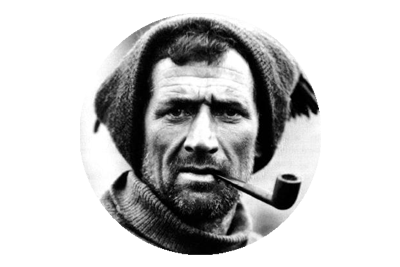 Yet the new documents show that on the return journey from the Pole, Scott’s expedition found rations carefully planted on the journey out had disappeared, which Professor Turney suggests were taken by Evans. In addition, the updated orders Scott gave to Evans to send a dog team out to meet the returning expedition were seemingly never delivered. Turney’s first concern arises from Kathleen Scott, Oriana Wilson and Lord Curzon apparently believing that Evans took more than his fair share of food from depots on the return journey. Rather that investigate their concerns objectively, Turney appears to have selected information and constructed hypotheses to support their concerns, ignoring readily available information to the contrary. The following paragraphs investigate whether Scott actually experienced food shortages as his party returned across the Ross Ice Shelf. It is widely accepted that the energy content of Scott’s man-food rations fell well-short of what was required. For example, Fiennes assessed Scott’s summit ration at 4500 calories per day and stated that the men’s energy consumption would exceed 7000 calories per day when man-hauling in polar conditions. (Fiennes, 2003, pp. 283-285) With their extreme level of physical exertion, the Polar Party was effectively on a ‘starvation diet’ for 77 days, from commencement of man-hauling up the Glacier until arriving back on the Ross Ice Shelf on 24 February, and thence onto the even lower energy barrier ration, until their deaths. It is surprising that Turney’s article makes no mention of the energy shortfall in the diet planned and organised by Scott, focussing only on possible food shortages caused by Evans’ alleged thefts. For Turney’s article to be perceived as being well-reasoned, balanced and credible, a distinction between problems caused by insufficient calories versus alleged food theft would add credibility. It may be noted that Scott’s Message to Public stated every detail of their food supplies worked out to perfection (notably, Scott was silent about the adequacy or otherwise of the fuel oil supplies). 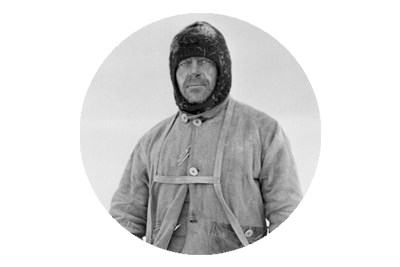 Scott’s statement may be evaluated by investigating when the returning Polar Party was able to consume full rations and when it was obliged to go onto short rations. Based upon Shackleton’s average speed in his Nimrod expedition, Scott had decided upon a 144 day southern journey and took an appropriate number of ration units (albeit with insufficient daily calories). With a start date of 1 November 1911, 144 days’ worth of food would last until 22 March 1912, which is very close to when the Polar Party came off their full ration in the death tent. Scott’s journal shows that even as late as 14 March he dared not cut back on food rations. (Scott, 2011, p. 412) His journal suggests the Polar Party enjoyed their intended full rations until about 21 March 1912. Turney’s article provides no evidence that the Polar Party was forced to go onto short rations whilst returning across the Ross Ice Shelf. It is therefore apparent that even if 80 ounces of biscuit (5 man-days of one component of the summit ration, as highlighted by Turney) plus an unknown quantity of pemmican had been under-provisioned by Bowers, or had been misappropriated by any of the returning parties (be it the Dog Party, Atkinson’s First Return Party or Evans’ Second Return Party), it did not force the Polar Party to go onto short rations. The Polar Party consumed the quantity of food Scott had planned, right until the start of their last week. Whilst Turney’s article puts forward a convincing case that a few people in far-off England had fussed over possible shortages of biscuit or pemmican, it fails to demonstrate that such shortages, if they ever existed, had any effect on the fate of Polar Party. Likewise, the details of the inconsistent opinions about when Evans first exhibited clinical symptoms of scurvy are drawn out in detail, but Turney fails to demonstrate that the inconsistencies had any effect on the fate of Polar Party. As the article stands, the claim that Evans took food beyond his fair share, to the detriment of the Polar Party, is unproven. I find Professor Turney’s research supporting this allegation to be incomplete, unbalanced and therefore unconvincing. The shortage of food at the depots was not the only challenge that Scott and his men faced on their return. The fatal circumstance that led to the deaths of the Polar Party appears to have been exacerbated by the failure of Evans to act on orders give to him on the Plateau. The orders in question relate to use of the dog sledge teams. One is left wondering why such a pivotal piece of primary evidence as Gran’s text was not quoted in full by Turney, both in English and in the original Norwegian, to allay any concern about biased or selective translation. Evans also carried a message from Scott changing the orders for the dogs yet again – for the fourth time. Meares now was to come to out and meet Scott between 82° and 83° south, some time towards the middle of February (Huntford, 1979, p. 457). Imagine the surprise when my colleague reported that Kampen om Sydpolen contains no such statement. At no point in the book does Gran state that Scott gave orders about the dog teams to Evans. There are however several separate statements in Gran’s book which Professor Turney may have combined in order to create his story. Some readers may see this as conflation or contextual manipulation. The following paragraphs examine that possibility. The first two sentences of Turney’s paragraph (before the emphasised text) are not supported by any text in Gran’s book. He is mistaken in citing Gran’s book as the source of those two sentences. Perhaps they are Turney’s own suppositions. Regardless of whether one believes Gran’s story or not, the vital question is whether Professor Turney’s depiction of Gran’s narrative is fair and accurate or whether it has been manipulated, perhaps in order to create a headline-grabbing article. Turney’s paragraph on page 507, quoted above, is fundamental to his charge that Evans received orders from Scott that he failed to pass on. I invite readers to form their own opinions on whether Gran’s narrative has been accurately depicted by Turney, and whether there is sufficient evidence to support the charge made by Professor Turney in the ‘Failed orders’ section of his article. In October 1911, Scott prescribed a ‘third journey’ for Meares and the dogs to meet the returning Polar Party by travelling as far south as 82° 30’. (Evans, 1961, p. 162) The range of this journey was based upon the motors taking a large quantity of dog food to a new depot at 80° 30’ south. 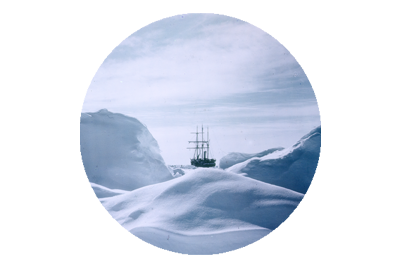 In December 1911, Scott instructed Atkinson to take over the third journey from Mears and to travel as far south as he could, in order to meet the returning Polar Party. (Atkinson, 1961, p. 665) With the failure of the motors, there would be no dog food at 80° 30’ south, so this was effectively a substantial reduction of range. In February 1912, Cherry-Garrard took over the third journey from Atkinson. (Cherry-Garrard, 2010, p. 429) He set out to meet the returning Polar Party at One Ton depot, at 79° 28’ south, a further reduction of range. Scott was unaware of this latest development. Turney’s article does not address the challenge of providing adequate dog food for an extended dog journey to 83° south. From surviving records (such as Wilson’s sketchbook) we can see that Scott’s food-planning was thorough and it would have been out of character for him to issue orders for the Dog Party to travel beyond their maximum (food determined) range, with fatal consequences for men and animals. The article would be more credible if it had included material analysing dog food required and available for the extended journey to 83° south, without dog food having being left at 80° 30’ south by the motors earlier in the season. Another concern is the vagueness about Scott’s timeline. The article provides no evidence about where and when Scott expected Evans to meet the Dog Party, in order to pass on the revised orders. This is significant because the Dog Party would need to receive the revised orders before departed south, in order to adjust their payload of man food and dog food to suit Scott’s revised orders. The article is also silent on when the dogs should meet up with the Polar Party. The article would have had more substance if it included some rigor around the timeline envisaged by Scott. As the article stands, the claim that Evans failed to convey Scott’s revised orders is unproven. Verifiable research and analysis would strengthen the claim. I find Professor Turney’s research supporting this allegation to be incomplete, unbalanced and therefore unconvincing. Turney places particular importance on the opinions of individuals back in England (Lord Curzon, K Scott, O Wilson), who could not possibly have witnessed Evans’ alleged transgressions in Antarctica. The article would have more substance if it had included eye-witness accounts of Evans’ alleged food theft. Turney’s complex line of reasoning, postulating that inconsistencies about when Evans first exhibited clinical signs of scurvy prove that Evans had something to hide, is hypothetical. The inconsistencies are not evidence of food theft. The phrase ‘fallacy of diversion’ comes to mind. Turney depicts Teddy Evans as being a bad person, using a technique that presents a selective accumulation of adverse opinions and innuendo as being proof of wrong-doing. This approach is not a trusted alternative to straightforward assembly and presentation of verifiable facts. In short, Turney’s article falls well-short of the standard normally associated with scholarly research. Atkinson, E.L. (2011). The Last Year at Cape Evans, In: Scott, R.F. Scott’s Last Expedition (pp. 665-700). Ware, UK: Wordsworth Editions Ltd.
Cherry-Garrard, A.G.B. (2010). The Worst Journey in the World. London, England: Vintage Books. In Defence of Edward Evans – Accused of Sabotaging Scott’s Polar Party. 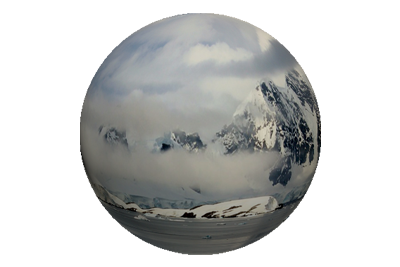 Arguably the best known scientific Antarctic venture was the British Antarctic Expedition of 1911-1913 led by Captain Robert Falcon Scott. Whilst the so-called race to the geographic South Pole with Roald Amundsen’s Norwegian Antarctic expedition excited international interest, the tragic death of Scott and his returning Polar Party was a striking reminder of the hazards of operating in the south.